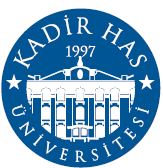 The final lecture of the 2010-2011 Kadir Has University Culture and the Arts Lecture Series, sponsored by the Department of American Culture and Literature, will be presented by Hugh Pope, who will discuss his most recent book, Dining with Al-Qaeda: Three Decades Exploring the Many Worlds of the Middle East. 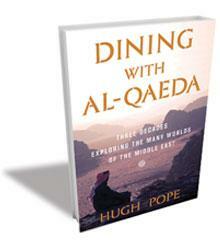 Hugh Pope has been engaged in the broader Middle East for three decades. He read Persian and Arabic at Oxford University and has written from 30 countries during 25 years of travels as a foreign correspondent. From 1997 to 2005, he ran The Wall Street Journal‘s news bureau in Istanbul, and he has reported for the Independent, the Los Angeles Times, BBC and Reuters as well. His two previous books are Turkey Unveiled: A History of Modern Turkey (1997, a New York Times «Notable Book,» co-authored with Nicole Pope), and Sons of the Conquerors: The Rise of the Turkic World (2005, an Economist «Book of the Year»). Pope has lectured widely, including invitations to speak before London’s Royal Academy of Arts and the Smithsonian Institution in Washington, D.C. Presently he serves as director of the Turkey/Cyprus project of International Crisis Group. For further information call (0212) 533 65 32, ext. 1344.